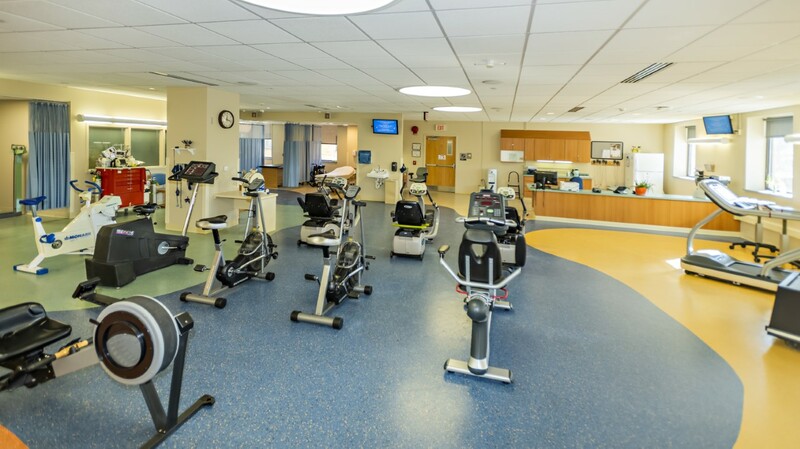 After nearly two decades at LVH–Schuylkill S. Jackson Street, the cardiac rehabilitation department has moved. The team is settling into its new location at the rear of the main lobby, third floor, at LVH–Schuylkill E. Norwegian Street near the parking garage elevators. A Community Open House is scheduled for Wednesday, February 20 from 6 – 8 p.m. The 3,500-square-foot department will meet current needs and allow for future growth. The new suite includes a reception desk, exercise are private consultation room, two curtained bays, utility and storage rooms, staff documentation areas as well as an expanded gym area. Featured in the cardiac rehab unit is a new telemetry monitoring system for patients. 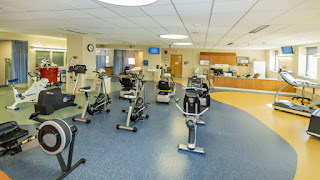 All patients receive supervised exercise and electrocardiographic monitoring during their rehabilitation program, which typically lasts up to 12 weeks. Afterward, many patients choose to continue with our cardiac maintenance program which provides monitored exercise, opportunities to better manage chronic diseases and education to live healthier lifestyles. Robert DeColli, MD, LVPG–Schuylkill medical director and practicing physician at LVPG Internal Medicine–Laurel Boulevard, serves as medical director of the new unit. Cardiac rehabilitation is open Monday through Friday by appointment. Physician referral is required. The telephone number is 570-621-5490.